To mark the release of the Best American Poetry of 2009 collection, series editor David Lehman hosted an incredible 20 poets who appear in the book at the New School Thursday night. John Ashbery said, "They came to blow up America." Mark Bibbins said, "West Virginia was made overseas and brought to us, chunk by chunk, aboard container ships." Susan Cleary asked, "Why is a man like a burning candle?" Phillip Levine said, "The view was something terrifying and never the same." 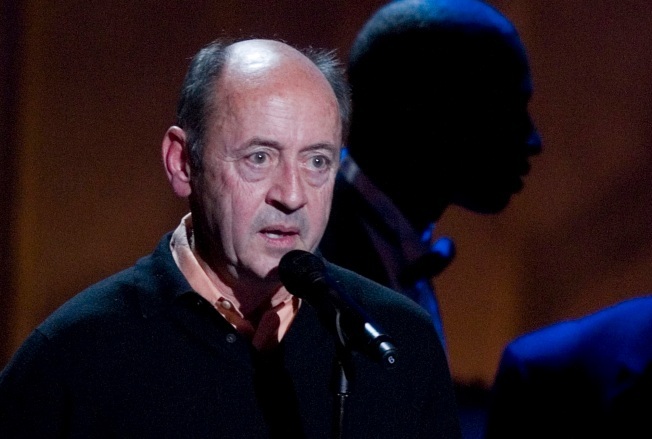 Billy Collins said, "You might just tolerate all of this. James Cummins said, "A gun can be a gun, even for Freud." Mark Doty said, "The old words are dying." Douglas Goetsch asked, "Does anybody see a problem here?" Michael Grabell said, "Maybe it's because my mother grew up in Weehawken, New Jersey." Delores Hayden said, "Behind the driver, the boy sits facing backwards." And because Sarah Hannah could not be there, Jennifer Michael Hect said, "You don't speak of it, not ever." Richard Howard said, "Believers swing a live chicken high over their heads." Tina Kelley said, "God is definitely not that weird sexuality of bird rehabilitators." After remarking that a poetry collection was a kind of conversation, Phillis Levin said, "Forget the comma, the crow said, darting onto another branch, random joy being his." Susan Blackwell Ramsey said, "We want to make things last." James Richardson said, "Oh, it's a technical problem." Martha Silano said, "I hate your knees, both of them." Mitch Susskind said, "Rachel was like a monkey beside Sarah." Vincent Stanely said, "I hear America calling for a dot"
Craig Morgan Teicher said, "America has begun calling everything 'America' no matter what." Matthew Zapruder said, "I know less than I did before, and I live on a hill where the wind steals music from everything and brings it to me."